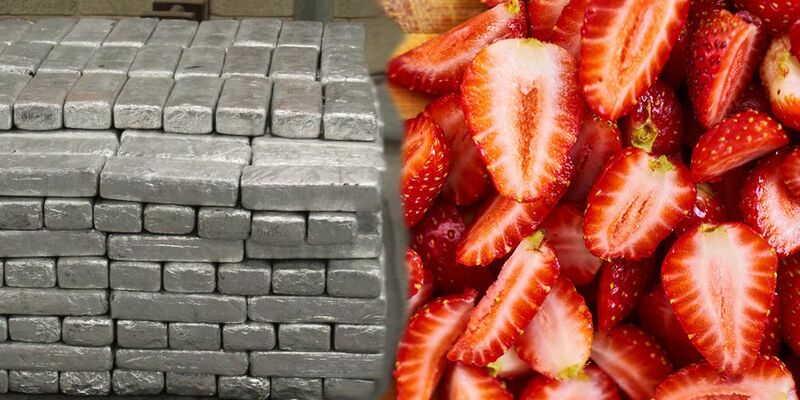 The U.S. Customs and Border Protection announced a major methamphetamine bust in a commercial shipment of frozen strawberries arriving from Mexico. Border Patrol agents say they encountered a 42-year-old male Mexican citizen with the frozen strawberries shipment at the Pharr-Reynosa International Bridge cargo facility in Texas over the weekend. When Customs and Border Protection further inspected the strawberry shipment, officers discovered 350 packages of alleged methamphetamine concealed within the trailer. In total, 906 pounds of methamphetamine was seized from the shipment.